to the analysis of, and solutions to, engineering problems. Ray Brach and Matt Brach taught the SAE Professional Development seminar on accident reconstruction from 2004 until 2010. 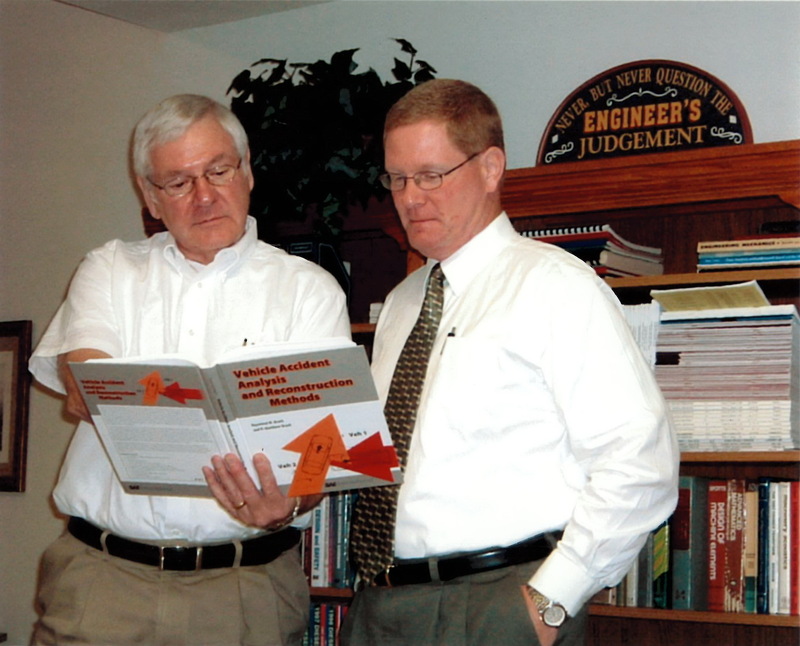 While Ray and Matt no longer teach the very popular Accident Reconstruction class at SAE, Brach Engineering makes that same class available to be taught at your company. The material presented in the seminar parallels the material contained in the book Vehicle Accident Analysis and Reconstruction Methods. The seminar includes additional examples beyond those in the book.These examples are contained in the class notes provided to the attendees of the seminar and covered as part of the class. This seminar is available in either the one, two or three-day format, to companies and agencies for presentation to groups involved in the reconstruction and analysis of crashes. The three-day format includes all the available topics as well as a hands-on section in which the attendees actually reconstruct an accident using software. Arrangements can be made for a custom seminar where interested companies may pick and choose topics to be covered. Each day runs from 8:30 a.m. to 4:00 p.m. with a lunch break. The price of the seminar is only $2,000 per day, plus travel expenses. If you are interested in the Professional Development Seminar, please fill out the form below. Attendees reconstruct several example crashes using software (VCRware) provided by Brach Engineering. A tutorial on the use of the software is included. Thank you for filling out our Reconstruction Seminar Presentation Request form. An e-mail has been sent to us, and we will contact you soon to set up the details of your presentation request and address any questions/concerns you may have had. Copyright © 2019 Brach Engineering, LLC. All rights reserved.